On World Haemophilia Day (April 17th), healthcare practitioners and caregivers have reiterated the critical need for early diagnosis, access to treatment, and physiotherapy for people with haemophilia to lead a near-normal life. With easy access to factor replacement therapy and physiotherapy, haemophilia patients – especially children – can fight this life-threatening blood disorder. The risk of death from lack of basic knowledge and untreated haemophilia is very high. They also laid strong emphasis on government support to ensure availability of diagnosis facility, factor replacement therapy and physiotherapy at government centres. According to haemophilia Federation (India), there are over 20,000 registered patients with it. However, this number would be much higher, considering the population of India. Children are innocent victims of haemophilia. The fear of bleeding episodes, and mortality, prevents them from having a normal childhood, and takes a heavy emotional toll on their life and those of their parents and family. Since haemophilia is a life-long medical condition, without access to proper treatment, children frequently miss school and have to always be alert to injuries. While there are government facilities available for factor replacement therapy and disease identification, these are not spread uniformly across the county. However, a few centres in Uttar Pradesh and Gujarat provide personalised prophylaxis – the most optimised care for haemophilia. On the other hand, what is also urgently needed are trained doctors and government support to extend access to factor replacement therapy at government centres across India. It is important for the government and for every Indian to come forward in support of haemophilia patients. They can lead a near-normal and productive life with easy access to the required factor replacement therapy and physiotherapy. The signs of haemophilia A and B are the same: big bruises, prolonged bleeding after getting a cut, removing a tooth, or having surgery; spontaneous bleeding (sudden bleeding inside the body for no clear reason), bleeding into muscles and joints. Bleeding into a joint or muscle causes swelling, pain and stiffness in the joints, and difficulty using a joint or muscle. Treatment for haemophilia today is very effective. 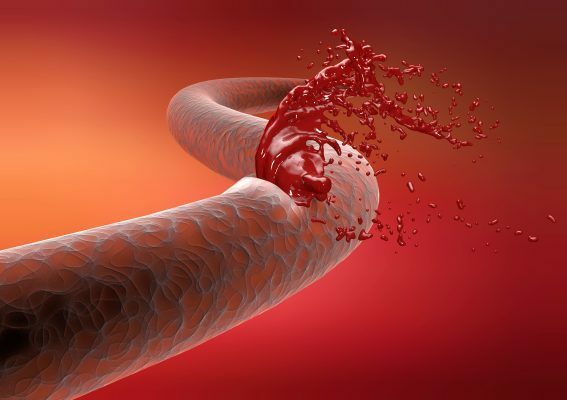 The missing clotting factor is injected into the bloodstream using a needle. Bleeding stops when enough clotting factor reaches the spot that is bleeding. Bleeding should be treated as quickly as possible. Quick treatment will help reduce pain and damage to the joints, muscles, and organs. If bleeding is treated quickly, less blood product is needed to stop the bleeding. While haemophilia cannot be cured, patients can lead a near normal life through prophylaxis treatment. Prophylaxis, essentially replacement of clotting factor on a regular basis, helps the blood to clot normally in case of an injury or bleed. The treatment prevents bleeding and joint destruction, helping children with haemophilia be more active, attend school, go for outdoor games and above all, follow a routine life which every child wants to live.